Welcome to HMAS Albatross, home of the Royal Australian Navy's Fleet Air Arm. HMAS Albatross is the largest operational Naval establishment and the Navy's only Air Station. The primary task of HMAS Albatross is to support the three Naval Air Squadrons, which provide air support to the fleet. HMAS Albatross is also home to the Fleet Air Arm Museum (formerly known as, and now incorporating, Australia's Museum of Flight). The museum is a high profile tourist attraction and a visit is highly recommended. The Air Station is also home to the Australian Navy Fleet Air Arm. The Commander Fleet Air Arm (COMFAA) has responsibility for delivery of aviation capability to the Government. 723 Squadron with AS350 Squirrel Helicopter. 816 Squadron with 70B Seahawk Helicopter. 808 Squadron with MRH-90 Helicopter. News articles relevant to HMAS Albatross can be viewed on the Navy Daily website. The decision to build an airfield on the land now occupied by the Naval Air Station was taken soon after WWII was declared in 1939. The Royal Australian Air Force (RAAF) occupied the new base on 7 May 1942 and was soon followed by the US Army Air Corps and the Royal Netherlands East Indies Air Force. In 1944, the British Admiralty directed forces to the South-West Pacific necessitating shore base establishments in Australia to support the Royal Navy and its Fleet Air Arm. 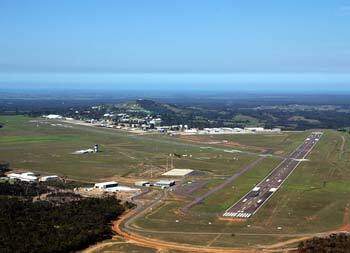 RAAF Base Nowra was considered ideal because of its proximity to Jervis Bay, which was large enough to accommodate the entire British Pacific Fleet. The Royal Navy's Fleet Air Arm began operations at Nowra in late October 1944, and the base was renamed HMS Nabbington. In March 1946, the base reverted to RAAF control "to be retained but not maintained". In July 1947, the Commonwealth Defence Council approved the formation of a Fleet Air Arm which would be controlled and operated by the RAN. The initial planning included purchase of two aircraft carriers, aircraft and establishment of shore facilities. The carriers were named HMA Ships Sydney and Melbourne, and the shore facilities were at Nowra. HMAS Albatross was commissioned in August 1948 and the 20th Carrier Air Group, comprising Sea Fury and Firefly aircraft, was brought from England to Australia by HMAS Sydney. These aircraft, operated by 805 and 816 Squadrons, disembarked to Nowra in May 1949. In November 1950, they were joined by the Carrier Air Group of 808 and 817 Squadrons, also flying Sea Furies and Fireflies. HMAS Albatross has been expanding ever since. As more capable aircraft have been acquired, so ground support facilities have had to be built. In 1955, Sea Venoms and Gannets arrived, requiring radar workshops and test facilities. More aircraft necessitated stricter standards of air traffic control and a new control tower was built in 1958. In 1964 the introduction of Wessex helicopters, with a dunking sonar capability, required a further expansion of services. In 1965, it was decided to buy American aircraft to replace the ageing British Gannets and Sea Venoms. McDonnell Douglas Skyhawks and Grumman Trackers were chosen and additional avionics facilities were built to service the complex equipment they carried. 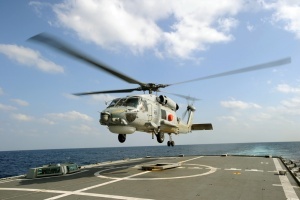 The helicopters now based at HMAS Albatross have restored to the RAN much of the anti-submarine capability lost when the Tracker squadron was disbanded in 1983. In recent years significant redevelopment has taken place, continuing the operation of HMAS Albatross and recognising its strategic importance as the sole Royal Australian Navy Air Station. Officers undertaking Pilot training can expect to be posted to Tamworth NSW to undertake Basic Flying Training (BFTS) for 120 working days utilising CT4 trainers. On completion of BFTS, graduates will proceed to 2FTS (RAAF Pearce, Bullsbrook WA) to continue training for 170 working days utilising PC9 trainers. Successful graduates will then proceed to 723 Sqn HMAS Albatross (Nowra NSW) to conduct rotary conversion on AS350 B Squirrel helicopters for approximately 12 months. 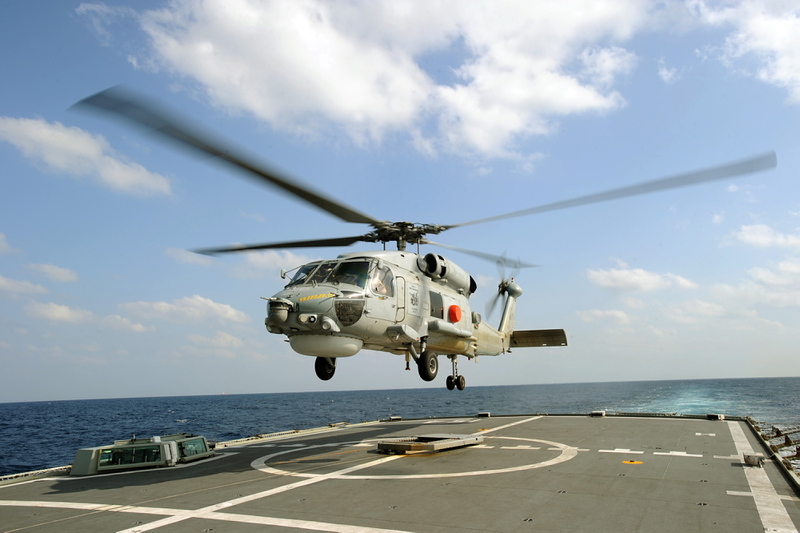 On successful completion of rotary conversion, students will then conduct Operational Flying Training (OFT) [including type conversion] on either 816 Sqn (Seahawk), or 817 Sqn (Sea King). The length of OFT is dependant on aircraft type, ranging between 9-12 months. Officers undertaking Observer training can expect to be posted to RAAF East Sale for Basic Observer Course (BOC) for 39 weeks utilising King Air aircraft. 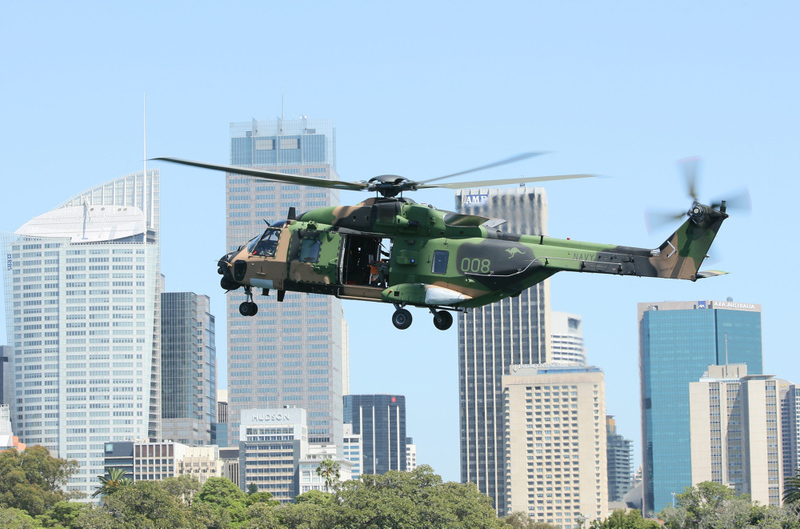 Upon successful completion of BOC, students will then proceed to 723 Sqn HMAS Albatross (Nowra, NSW) to conduct rotary conversion on AS350B Squirrel helicopters for approximately 12 months. On successful completion of rotary conversion, students will then conduct Operational Flying Training (OFT) [including type conversion] on either 816 Sqn (Seahawk) or 817 Sqn (Sea King). The length of OFT is dependant on aircraft type, ranging between 9-12 months. Once AT trainee sailors' graduate Recruit School as SMN Unrated Air Technical- SMNAT, they will be posted to the RAAF School of Technical Training at RAAF Base Wagga, NSW. For sailors serving at RAAF Base Wagga Wagga, you along with other SMNAT sailors will form part of a Division who will live together, take lessons and study together and form great friendships which last throughout their Naval careers. Each Division will be managed by a Divisional Officer (exactly the same as Recruit School at HMAS Cerberus), who looks after everyone's administration, instruction, discipline, welfare and morale. AT Aviation (ATV) and (ATA) category training is 360 working days in duration. Upon successful completion of ATA/ATV Category Training at RAAF Base Wagga, sailors will be posted to Training Authority Aviation (HMAS Albatross, Nowra NSW) for their Equipment Application Course (EAC). This training is tailored to a specific airframe and can take up to 11 working weeks. Upon successful completion of EAC, the sailor will then be posted to the squadron as a maintainer with the airframe they completed their EAC on (either 816 Sqn (Seahawk) or 817 Sqn (Sea King). Opportunity exists for AT members to advance with promotion through the Senior Sailor ranks to Warrant Officer. For all officers and sailors throughout the Navy, the divisional system will be in place for you. You will continue to be managed and supervised by senior personnel, and you will have a divisional officer who will be there to give you directions and instructions, provide guidance, advice, discipline and monitor your wellbeing and morale. Officers and Senior Sailors take their meals in the Combined Mess with cooking undertaken by a Defence Primary Support Contractor. Meals are served three times per day with a great selection on offer. Bathrooms and toilets are shared with females. Laundry is located on lower ground floors. Cabins are quite comfortable and equipped with built-in wardrobes, built-in desk/study area, fridge and sink. Showers and toilets are shared. Ship's company accommodation consists of multi storey accommodation blocks with a common room and complete with TV, radio/CD and kitchen facilities including fridge. Cabins are comfortable and fairly spacious. All junior sailors living onboard take their meals in the Junior Sailors' cafeteria where meals are served three times per day. A wide variety of wholesome and tasty food is on offer with at least three main choices at every meal including a vegetarian option. The lifestyle in this regional area is very relaxed. It is a welcoming, friendly community with many sport clubs and associations active within the area. There are a number of schools catering for pre-school children through to year 12 students and which have won acclamation for their academic achievements. For officers and Senior Sailors, the Combined Mess at HMAS Albatross offers many great facilities including private swimming pool, cable television and wi-fi hotspot. For junior sailors, HMAS Albatross has an excellent junior sailor's mess know as the Cockpit Tavern, which has undergone significant refurbishment over the past two years. The mess offers recreation facilities including an intenet cafe, and allows all junior sailors to unwind and relax and bring friends (civilian guests) onboard. Facilities include BBQ, swimming pool, cable TV (Austar), table tennis, snooker, darts and of course the tavern serves alcohol (not to personnel under 18 years of age). It is a mandatory requirement that all personnel be healthy, fit and active and ready to deploy, and sport is therefore encouraged. The ADF is the only organisation that pays you to play sport eg, golf, adventure training, sailing, Aussie Rules and rugby union, just to name a few. If you are really good you can be selected to play for Navy in Inter-Service competitions against Army and RAAF, and play all around Australia and possibly overseas. Albatross caters to a number of different sporting activities including football (league, union and AFL), netball, basketball and golf. There is a fully equipped, newly built modern gymnasium on board for all personnel to use. From time to time ship's company including AT trainees will be required to undertake outside activities such as leadership expeditions out bush, small arms training and adventure training. Trainees can also expect to undertake guard training for specific events, such as Freedom of Entry to the town of Nowra or Anzac Day. If you are not rostered for duty, and have no service commitments, then personnel can proceed 'ashore' on local evening/overnight leave. Note: If you are under 18 years of age, then you are required to return to quarters before 11:59pm. Albatross is located approximately 6kms from Nowra, (population of 90,000 for the Shoalhaven area). Nowra boasts a major shopping centre, public and private hospitals, TAFE College, cinema complex and a variety of other entertainment options. The Shoalhaven area supports a fishing industry and is a mecca for the tourists and holiday-makers alike. Albatross is a short drive to any of the 36 towns and villages dotted along the coastline, each boasting their own unique style and quick access to oceans and lakes. This coastal region is a popular haven for fishing, swimming, water ski-ing and a magnet to holiday makers during the Christmas/new year holiday period. Other recreational activities include horse riding, trail bike riding, canoeing, sky diving and gliding (just to name a few). See Shoalhaven Tourism (external link) for more information.